It was in May 1991 that the current regime in Eritrea and its leader, President Isaias Afewerki, burst onto the global political scene as the leadership of a revolutionary movement that had just triumphed in its thirty-year war for national liberation. In the months that followed, and amid unprecedented nationalist fervor and pride, the Eritrean people credited the leadership with having secured a hard-fought national independence, and hailed its members as national heroes of the highest order. Bestowing such honor and grandeur upon its leaders was a tribute befitting a political movement that had just accomplished its mission and therefore ought to have ceded power to the people. But public sentiment strongly favored continuity and the Eritrean people entrusted those same leaders two years later with the task of setting their country on the long road to democracy, sustainable development and social progress. Coming as it did at the end of a prolonged and bitter struggle, the birth of the new nation was bound to illicit public reaction of both domestic and international dimensions. The war’s end and events that occurred in its aftermath emerged as critical factors that shaped initial world opinion of the emergent nation, its people, its national aspirations and its place in the global family of nations. 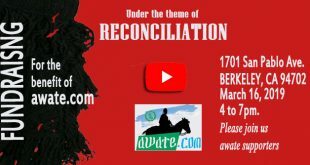 There was an implicit recognition by the international community of historical injustices perpetrated on the Eritrean people. The war had wrought death and untold sufferings on the country’s population, decimated its resources, devastated its infrastructure and degraded its environment. Resolutions/decisions, interventions (in some situations) and inaction (in others) by world powers were largely responsible both for igniting and for prolonging a war that entailed such disastrous consequences. The liberation of the country could therefore not have failed to arouse a general sense of guilt among those powers that were directly responsible for the ugly, externally imposed elements of the war. Overshadowing these grim initial sentiments, however, was the world’s positive reaction of overwhelming solidarity with, and massive goodwill towards, the young nation. The world was impressed by the sheer tenacity of the country’s armed struggle and its triumphant emergence as a nation. Many were in awe of the unity, potent nationalism, perseverance and personal sacrifice that not only saw the Eritrean people through the long armed struggle, but continued to flourish after the war had ended. It was therefore not a surprise that politicians, political analysts and international observers hailed the new nation as a beacon of hope and a symbol of progress for the developing world. They pointed to the exuberance, optimism, confidence, national pride and can-do attitude of its people as indispensable national traits that other developing nations ought to emulate. Despite Eritrea’s impressive and hopeful start, however, it was not long before the young nation began drifting into a dictatorship domestically and a pariah status internationally. In a short span of half-a-dozen years, it became starkly evident that the governance direction the country was heading was antithetical to the participatory, multi-party democracy and market-led economy that people had envisaged for their country. As the nation slid into autocratic rule, political power continued to be concentrated in the hands of a single individual and political space was fast closing for those who do not profess absolute loyalty to his increasingly repressive regime. In September 2001, the government muzzled the voices of change and progress by arresting independent journalists and shutting down the country’s nascent independent press. Senior government officials and military commanders who dared to call for democratic reforms and implementation of the country’s ratified constitution were rounded up and jailed without due process of law. The regime unceremoniously abolished the national assembly, shelved the new constitution, emasculated the judiciary and proceeded to rule by presidential decree. Finally, having put in place the instruments of a police state, the government began in earnest its witch hunt of dissenters and its campaign of hounding anyone or anything perceived as a threat to its authority. Various governments and international organizations condemned these draconian measures; others were prompted by the observed totalitarian tendencies to call on the regime to respect human rights and the rule of law. Among them was the European Parliament which – citing international treaties, declarations, conventions and principles – passed a resolution in September 2002 calling on the government to bring to trial (or else release immediately) the officials and independent journalists it had just arrested. The European Union (EU) continued to issue periodically similar resolutions in subsequent years as the detention conditions of those prisoners deteriorated further and as thousands of other citizens continued to be arrested arbitrarily. 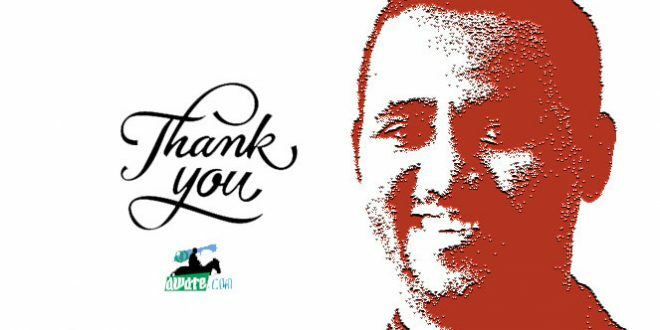 Sadly, fourteen long years after the regime began its systematic assault on civil liberties, repeated international appeals for due process continue to fall on the regime’s deaf ears and justice continues to be denied to its innocent victims. It is highly probable that most of these prominent political prisoners have by now succumbed to the hell-on-earth existence in the regime’s dungeons characterized by solitary confinement, inhumane living conditions, ill treatment and lack of adequate medical care. The tyrant continues to ignore toothless global appeals, resolutions, criticisms and condemnations. Indeed, he seems to have resolved to “weather the storm” until the few, if any, remaining victims finally meet the fate of their departed colleagues and fellow prisoners. Inconceivable as it may all seem, such is the capacity of some “persons” for doing evil to their fellow human beings! In his rapid transformation from a popular revolutionary hero to a belligerent dictator, Isaias Afewerki made a habit of speaking of international organizations and some Western powers in abrasive and accusatory language. Perhaps this has been his way of trying to blunt criticisms and condemnations he knew much of the world will level at him for promoting repression at home and instability abroad. He has always perceived the world as a hostile place where individuals, organizations and governments are plotting to take him down and topple his rule; and he strives to tighten his grip on power by encouraging this paranoid view of the world to permeate Eritrean society. In fact, he and the state-owned mass media he controls have been relentless in their efforts to instill a bunker mentality in the population by harping on real or imagined external threats. Yet, in his boundless arrogance, he expects the very world he detests to deal with him on his own terms lest it incur his scorn for some past “sin” it allegedly committed against him. Isaias Afewerki’s arrogance, paranoia and vindictiveness have played a central role in shaping the country’s foreign relations and defining its status in the world. Indeed, it was policies, decisions and actions infused with these destructive attitudes that dragged Eritrea into successive conflicts involving almost all of its land and maritime neighbors. The political entanglements the country has had with other nations and organizations too could be traced back to the same causes. But, getting the country embroiled in multiple conflicts was just one of the many devastating consequences of the regime’s overbearing attitudes. A far worse consequence has been the prevailing political stalemate which has hindered resolution of the underlying causes of the country’s simmering conflicts. The dictator’s characteristically combative disposition undermined whatever limited diplomatic skills the regime possessed and hindered the development of the level of political acumen required in today’s globalized, yet complex world. And as the regime floundered helplessly in what it euphemistically calls the “no-war-no-peace” situation, Eritrea’s economy stagnated, poverty flourished, civil rights were trampled and hopes and dreams were dashed. These harsh realities inevitably forced unprecedented numbers of young, educated citizens to flee the country. Instead of striving to address these pressing national problems, the regime continued to hold the population hostage to its interminable political and military adventures. Unable and/or unwilling to disentangle itself from its regional disputes through diplomatic efforts, the government decided to pursue an agenda of “hostility by proxy” against neighboring states. According to UN reports, the agenda has been one of destabilizing some countries by arming, training and equipping rebel groups based at home or exiled in adjacent countries. In the case of others, it involves intervening in civil wars on the side of one faction or another. As expected, the international community reacted to these developments by putting in place measures and mechanisms aimed at containing and reversing what evidently are transgressions of the regime. The resulting dynamics of confrontational politics threw Eritrea into a period of international isolation which, despite early official denials, has exacerbated the country’s already bleak social and economic outlook. In December 2009, the UN Security Council slapped punitive sanctions on Eritrea for (a) providing “support to armed groups undermining peace and reconciliation in Somalia” including the Al-Shabaab terrorist group, and (b) failing to withdraw “its forces following clashes with Djibouti in June 2008”. The sanctions regime imposed an arms embargo on the country as well as travel restrictions and assets freeze on its political and military leaders. The UN resolution has built-in mechanisms for implementation and verification of measures it has imposed. For the latter task, the world body appointed a “Somalia/Eritrea Monitoring Group” (SEMG) to: (i) independently monitor compliance with the requirements of the resolution, and (ii) provide the Security Council with status reports needed for periodic review of the sanctions resolution. Early such reports of the Monitoring Group exposed Eritrean government’s violations of the terms of previous UN resolutions – a revelation that impelled the UN in 2011 to further tighten the sanctions by imposing targeted financial and trade restrictions. Most recently, the monitoring report of October 2014 emphasized absence of evidence to verify that the regime has indeed desisted from supporting Al-Shabaab. In addition, however, the SEMG reported that the government in Asmara continues to violate the sanctions resolution by undertaking cross-border smuggling of weapons and ammunition and by engaging in a campaign of destabilizing countries in the region. These findings led the UN Security Council to extend the mandate of the SEMG to (and retain the sanctions until) November 30, 2015. Publicly, Eritrean government’s reaction to the growing international scrutiny and indictments of its actions has been one of false bravado, rejectionist rhetoric and apparent defiance. But, this staged reaction has truly been nothing more than a combination of grandstanding and a spectacle of fabricated victimhood. 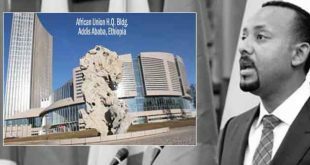 Privately and behind the political gimmickry, however, the regime has been working to avert a new round of punitive measures that the international community could decide to impose on Eritrea. Furthermore, it has been striving to improve its tarnished image and win friends in the West to promote attainment of its primary goals: having current UN sanctions lifted, ending its international isolation and securing external development assistance. But strangely, it seeks to pursue these goals not by mending its ways, i.e., bringing its governance of the country and the conduct of its foreign affairs in line with the principle of “government by law” and with international norms of behavior, respectively. Rather, its strategy has been one of engaging in empty rhetoric of reform and hoodwink the international community into believing that genuine socio-political changes are in the offing for the country. In a move intended to entice the EU to political engagement, the regime has in the past year been running a public relations campaign that falsely heralds major policy shifts in its domestic and foreign affairs. The following official acts are illustrative of the regime’s abhorrent chicanery. Some of the foregoing remarks are just capricious utterances of a dictator. Others are statements which, from all indications, were made in backroom negotiations with envoys of selected European governments – governments who seem impelled by their thinly veiled self-interest to lend a receptive ear to the regime’s deceptive announcements and empty promises. Logically, not much ought to be made of statements that regime officials make in private and/or for the benefit of exclusive audiences. Such statements are at best expressions of intent; not by any means solemn declarations of commitment. In this light, it is significant that none of the changes/tasks of which the authorities spoke has been officially and publicly proclaimed as a policy decision or national agenda. In none of these cases has executing authority been delegated, implementation structures and mechanisms specified or timeframes established for the launch and completion of promised actions/changes. For those uninitiated in PFDJ’s deceptive tactics, it may be tempting to take the regime’s pronouncements at face value and believe that change is just around the corner. But raising false expectations is one of the devious ways in which government authorities conduct business. In order to mislead others, they would not hesitate making promises they don’t intend to keep and declaring commitments they do not intend to fulfill. 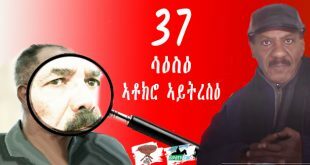 Hints and claims of impending change/reform that emanate from the regime are thus part of a manipulative scheme not unlike the pie-in-the-sky trick that the regime has been cunningly playing on the Eritrean people. The month of June 2015 saw the culmination of UNHRC-sponsored investigation into the human rights situation in Eritrea which began with the appointment of a Special Rapporteur in July 2012. The findings of the investigation were widely disseminated in the form of a 484-page report, a press release, a press conference and an interactive dialog at the Council’s Regular Session. The UN report, which is essentially an exposé of government sponsored crime, has laid bare what the Commission of Inquiry (COIE) called “systematic, widespread and gross human rights violations” that Eritrea’s ruthless dictatorship has been perpetrating on its own people. The Commission has also identified these atrocities (some of which may amount to crimes against humanity) as being the primary cause of the flight of thousands of refugees from the country each month. 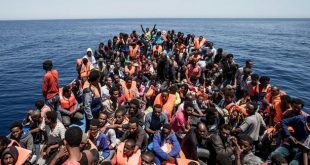 Since early this year, there have been media reports of an EU plan to engage the Eritrean regime with the hope of stemming the presently uncontrolled flow of refugees out of the country. The initiative would also include €312 million in development aid ostensibly to discourage migration by expanding employment opportunities through economic growth. Despite EU’s good intentions, however, the proposed policy would only play into the hands of a dictatorship too eager to bolster its baseless claim that economic factors, not political ones, are the main cause of migration from the country. It is also highly questionable whether the proposed funding would yield the intended results. It is worth noting that, since 2011, Eritrea’s government has been reaping from the Bisha gold-copper mine an annual revenue comparable in size to the proposed aid package. The EU would therefore do well to check what tangible socio-economic benefits, if any, have accrued to the population therefrom. It would be even more enlightening to find out the use(s) to which the regime has been putting the said revenues. Driven largely by selfish national interests, a couple of European governments recently made vain attempts to rehabilitate Eritrea’s dictatorship and improve its deservedly tarnished image. In their despicable role as regime apologists, they not only tried to downplay the scale and scope of human rights violations in Eritrea, but argued that democratic reforms and respect for human rights can be induced in the country by engaging and assisting its dictatorial government. The poignant findings of the COI report and the regime’s (and its supporters’) boorish and anarchic reaction to its release have conclusively refuted both of these apologist contentions. 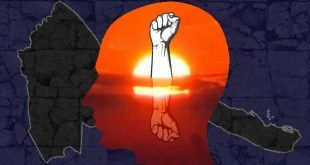 The report and the atrocities it documented have put the onus on the world community to use international leverage and ensure that global pressure is brought to bear on the PFDJ regime to: (i) acknowledge the findings of the Commission and (ii) implement their recommendations for rectifying the abysmal human rights situation in the country. 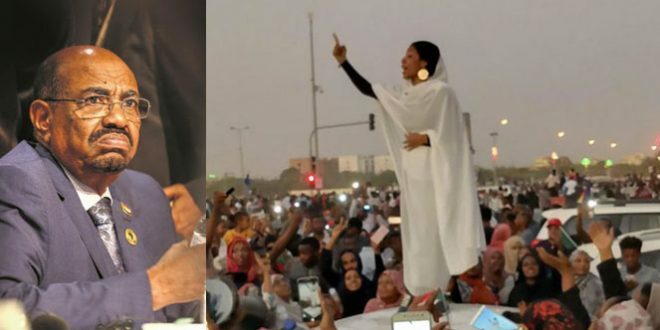 Should, despite such efforts, Eritrean authorities resist change and cling to their totalitarian practices, the world community would be duty-bound to stand up to tyranny in defense of law and liberty. Eritrea’s despotic rulers, known for their brutality and belligerence, have persistently refused to heed international calls for aligning their behavior with international laws and conventions. Yet, some European governments have shamelessly advocated engaging authorities of the unrepentant regime on their own terms and providing them with generous aid packages! Adopting such a policy stance – under any guise and whatever the rationale – would be nothing less than surrendering to tyranny. To be sure, the present crisis of uncontrolled influx of refugees into Europe needs to be addressed fairly and effectively; but so does the wholesale persecution and enslavement of youth that is feeding the exodus out of Eritrea. But these worthy goals cannot be achieved through policy decisions that strengthen the hand of the very dictatorship whose brutality lies at the core of the current refugee crisis. The lessons of contemporary history attest that a policy of appeasement has never succeeded in containing, much less reforming, belligerent dictatorships. If anything, appeasement may have the unintended effect of encouraging brutality and belligerence by emboldening the power base of totalitarian systems. Thus, there could be no rational basis to believe that adopting such a policy would produce a different outcome in the case of Isaias Afewerki’s dictatorship. The EU and its member states – or any other nation, for that matter – cannot hide behind the rhetoric of promoting reform in Eritrea through “constructive” engagement with its dictatorial regime. No amount of political doublespeak, diplomatic sophistry and policy rationalization can ever justify accommodating tyranny. Doing so would be tantamount to abdication of moral responsibility, betrayal of democratic principles and defiance of the rule of law – failings which history certainly will not judge kindly. Geraldine Brooks, Staff Reporter, “Postwar Promise: Africa’s Newest Nation, Little Eritrea Emerges As an Oasis of Civility”, Wall Street Journal, 01 June 1994. David Hirst, “Eritrea’s traits make it stand alone in Africa; Self-reliant nation has austere rulers”, The Washington Times, Final Edition, October 15, 1998. This article is more notable not for what it included but for what it neglected to mention. First, we must recognise that the EPLF and its renamed self, the PFDJ, is the creation of the Eritrean people. Crimes, similar to what it is accused of committing now have also happened in the past, before independence. 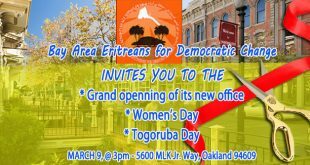 It cannot be denied that, the people of Eritrea aided and abetted the creation, development and eventual triumph of the EPLF; they have also lionized it. So, why is there no trace of self-criticism in this article? What is the assumption that guerrilla movements end up creating “participatory, multi-party democracy and market-led economy” based on? Was Isaias rapidly transformed to be a dictator? This assertion lacks credibility as the claim that Isaias had bad personal traits from early age. If one creates something from scratch as an important project, then that person must totally owns it; including being responsible for its upkeep, maintenance and repair. So, why is this wailing, crying and shifting responsibility to the International community? Indeed, our problem lies in our history. Unless we candidly and openly dissect it, it will haunt us forever. No one has addressed this issue better than Yosief Ghebrehiwot. I know his name is like an allergen that triggers non-stop sneezing at Awate, but in my analysis he is the pioneer in terms of opening our eyes to the alien culture and identity of ghedli. 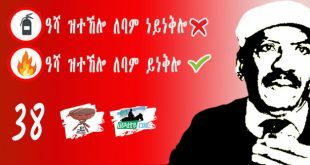 Of course, I dont agree with the direction he wants the country to go and his recommendations about future Eritrea. But his analysis of Ghedli vis-a-vis the wider ghebar was penetrating and by far the most true to type. I find it is very ironic that we still put our future on those very fighters who not only hijacked our dreams and aspirations, but also spearheaded the country into abysmal chaos. It is high time that the public openly challenge the fighters and claim its hard fought rights. It is time that we completely discard this tegadalay-gebar dichotomy and put emphasis on merit and not whether someone was a fighter. On a serious note, Yosief is the most intelligent habesha I have ever come across. It a shame that responsible, intelligent, statesmen like him are not ruining our countries…. 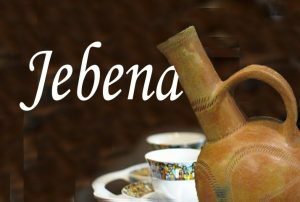 It is a fact that the Tegadalay-Gebar divide after the liberaation of Eritrea has played significantly in a negative way. It has to be remembered that no one went to the field to reap the friuts of the victory ONLY for themselves. Most importantly, no one knew wherther they would make it to town at all. But we have also to be fair, and not put all the tegadelties in one basket, and describe them as beneficiaries of the system in Eritrea. The great majority of them are suffering equally with the rest of the population under the tyranny of Isayas. Many of them have paid darely for speaking against the system, and thousands are still languishing in the prisons of the regime. 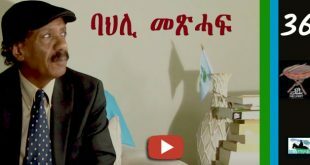 In my view, the greatest blunder committed by the Ghedli or the leadership of the EPLF was to outsource all the affairs in the hands of one man. They had perfected this irresponsible and destructive culture in the field; and continued it in town, until they finally decided to do something with it, but then it was too late. I concur with both tegadelti (Ab . Hanibal and Semere Andom). The talk of “we have to revisit ghedli…our people must be somehow different. ..” is for a reason. I wish if it were for unbiased reflections. However, it tends to come from the party that reminds us how deformed we are. Our people were and still are smart, resourceful and confident. All that’s required is a leadership that understands them. Until that time, they will continue being resourceful and resilient. And in the process they will new leadership that understands them. But the truth is encapsulated in Ab.Hanibal’s reply, and expanded by Semere. Learning from history is good but it should not be done for dubious political ends. Ghedli was far from perfect. But it was not waged for enriching the participants. It had political mission. The theft happened in front of everyone, what did you do? Did you say ” Give me liberty or give me death?” It is easy to put blames on poor tegadalay who was exhausted and just wanted to go home. 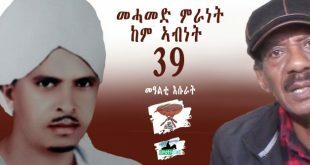 The dichotomy of tegadalay and gabar was used during ghedli to designate fultime combatants and none combatants, otherwise, it was my understanding that we were treating every Eritrean as tegadalay. We were saying, ” kulu ghedli endyu ” or it was all struggle regardless of one’s designation as tegadalay or gabar/civilian. Ayneta, as usual excellent comment. Except misrepresenting the cause of our ghedli and his effort to pull us to the old reality, as to the realities with the nature of the organizations was spot on, as he put it in his memorable article “unity by subtraction” – eliminate your opposition and keep the unity of the likes. The policy of Ghedli “unity by subtraction” is still continuing as we speak, eliminating any opposing group to dominate the Eritrean political landscape. This political culture ought to be challenged by our young generations. Somehow, you conveniently skipped the border war with Ethiopia that resulted the split within PFDJ leadership for power. You also blame Eritrean government isolating itself from the rest of the world instead of the other way round. In spite of all attempt to isolate Eritrea with economic and military sanctions the country is still standing and marching forward under PIA. A few things: On the impressive hopeful start, this seem is universally acted as true. 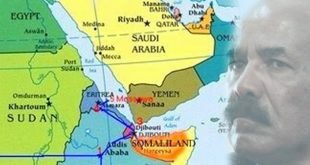 There was nothing impressive about Eritrea in terms of lifting itself, the tell-tell signs of tyranny were there and many Eritreans in the know alerted us, chief among them the late Seyoum Ogbamichael. We know that in democracies like Canada and USA the throne speech of the new government and the inaugural speech of the president respectively set the general tone of how they will govern. If we take IA’s first speech as our speech from the throne or inaugural speech that set the tone. Everyone was in denial even those closest to him. 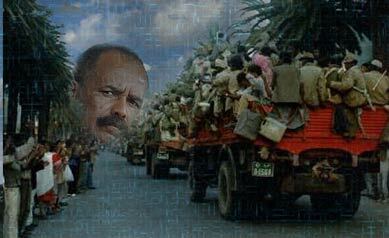 PFDJ is doing what it has perfected in the jungle when no one was watching, yet not all was hidden. The teaching point in this is that the people need to be so skeptical and contrarian in the future to avoid the same pitfalls. The sources of the western journalist who were enamoured with EPLF and wrote romantically about Eritrea were the EPLF leaderships. These journalist who made their livelihoods by writing about Eritrea did not follow the journalistic standard that they adhere to when covering their own countries, so they gave us and the world a distorted vision of our cause and country and its prospect.